This time last year as I spent the evening with FFOMC I couldnt wait for Christmas morning. As is our tradition we start the day by opening our Christmas stockings in bed, usually at an unreasonably early hour despite the absense of children in our home. I was particularly excited about a small gift nestled in the toe of his stocking – a last minute purchase inspired by one of FFOMC’s weaker moments following a work party. He had come home tipsy and bleary eyed and for some reason a little emotional about the worry that we would never have a family of our own. I reassured him that although I wasn’t ready to start a family that second in time, I did want to be the mother of his children. It’s a promise of the future that I’ll spend with you one day. And maybe this time next year it can hang upon our tree. 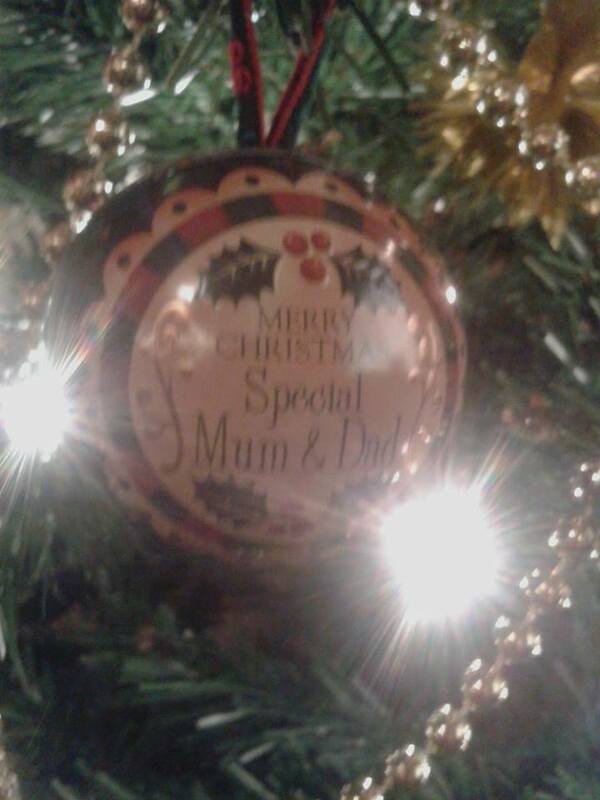 At the time I wrote these words I had no immediate plans to become a parent but low and behold, one year later I am once again excited on Christmas Eve, but this year our special Christmas bauble is hanging on the tree and we are anxious to open a card which will reveal whether we are expecting a little boy or a little girl. FFOMC will indeed make a wonderful father and no doubt this time next year we will be filled with all the excitement experienced by all new parents about to spend their first Christmas with their first child.